and displayed one copy in the van for over a year. A scene reminiscent of Africa. 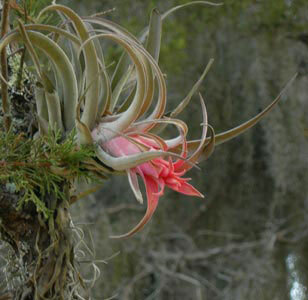 Growing in the wilds, as opposed to Wal-Mart. Amongst the Mayan ruins in Palenque. 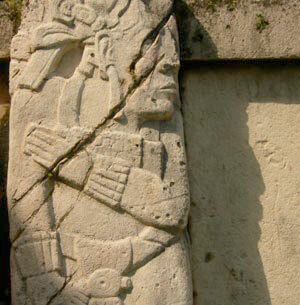 Natural and man-made relics, Palenque. On our typical morning walk. 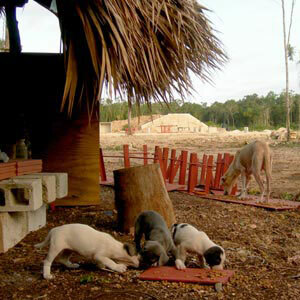 En route to Tulum while searching for a place to camp, I came across a mother and pups, left for the weekend at a construction site. Our camping spot, overlooking the Caribbean and a lighthouse. 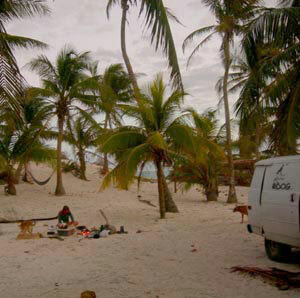 On the beach, just below where we camped at El Mirador, for $5 a night. All over the world, dogs seem to distrust people in uniforms. Bruiser makes a new fan in BA, a English traveller who's just arrived from Cuba. Trips into town have special advantages for Bruiser. 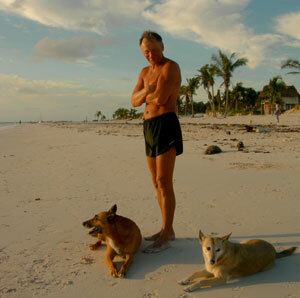 George runs every morning and is always accompanied by a pack of stray dogs. 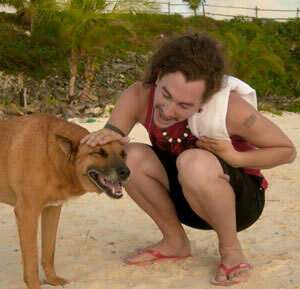 Tim, from Massachusetts adores the dogs. Peter, who's been travelling since May 2005 in the first leg of his round-the-world journey. 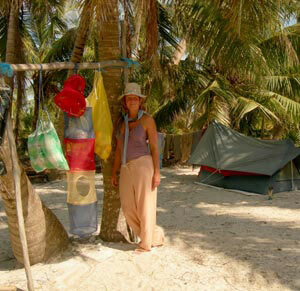 Verena, a German en route to Guatamala in front of her 'pantry'. 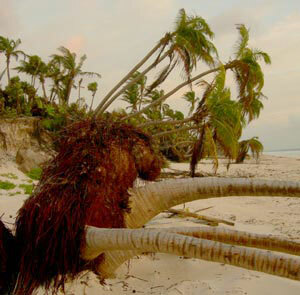 Coconut palms, their roots dislodged by high tides and winds during Hurricane Wilma. Verena learns to build a fire for cooking her splendid dishes. 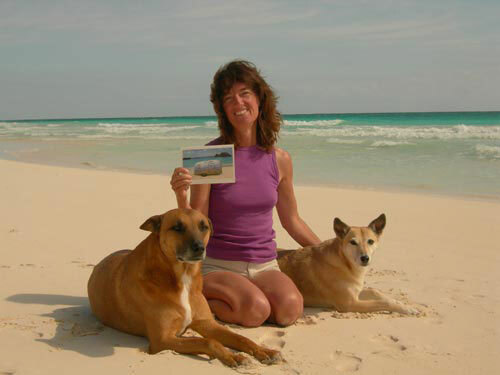 I decide I can't wait until reaching Costa Rica to resume writing, On a Mission from Dog. My soul is crying out to finish this work. I begin in San Miguel de Allende. I discover a place to camp outside of town, just a mile away from my new travelling friends. It's on the edge of farmland, but it's January and the fields lie fallow. After much deliberation, I decide on a route south. Less than an hour out of town, the same fuel problem returns that has plagued me since three hours after entering Mexico. I contemplate returning to San Miguel de Allende. There lies safety and a mechanic who speaks English. The same mechanic in fact, who apparently hasn't quite solved the problem despite cleaning out the carbeurator, air filter and checking other possibilities. I decide to forge on, with hope and forty words of Spanish. I ease the van along a number of hours. I decide the fuel filter needs to be removed again. I stop at a road-side mechanic. It's a job I can do myself, but I don't have a large enough wrench. The man, who appears to be in his 60's and sits idle in front of his tiny one-room office, doesn't have the right wrench either. I continue. The next mechanic has a shop alongside a tire repair place and is a hubbub of activity. We're on a busy highway and the 'cuosta' or toll road, is heavy with trucks and traffic. In my best mime, I tell the man the problem and he removes the filter and in the process notes the PCV valve is filthy. For everything, and about 40 minutes of his time he charges me about $5. He jokingly admits he'll accept other formers of payment. Laughing, I pay him the $5. I continue along my journey and decide to stop early for the night when I see a dirt track heading off into desert scrub and cactus. I pull no more than 15 meters off the two lane road when black smoke pours from the exhaust. The engine dies. And won't start. "Dogs, we're going for a walk. Let's worry about this when we get back." It's still warm when we return to the van. I want to camp further off the two-lane road to be more secluded. The engine starts...barely. I egg the unwilling vehicle on another 75 meters until we're behind a tree. I gather some wood for a fire and cook dinner. The dogs romp in scenery reminicent of Africa-minus the cactus. When it gets dark, I get out my laptop and resume writing. On our morning walk, three dogs bound alongside a cart driven by a donkey while an old man sits in the seat. The dogs look healthy. I hold Bruiser back from any interaction, not wanting to upset the donkey. The man says something about my dogs and I earnestly wish I could communicate. Instead, I just laugh, wave and say, "Si, si! Buenos Dias!" I feel imbecilic. The moment of truth arrives. Do I forge ahead and hope the road ahead has enough small villages with mechanics, or return to yesterday's mechanic, if I even can? I start the engine. It sounds fine. Once again, I forge ahead. Amidst heavy traffic, I still haven't reached Puebla by the end of the day. On a hunch, I take a dirt road which leads down to fallow wheat fields on rolling hills. In the distance are some of North America's tallest mountains. Snow sits atop one. Though I can hear traffic from the road, no one can see me. We head down the hill for our afternoon walk to pathways made by man and animal. We spend the next two days in a wonderland of canyons and crevices that forge their way deep into the valley, while above, lawns sheered by sheep and surrounded by Louisiana-South-like trees drip moss from their limbs. Plants which I've only seen sold as novelty items in Wal-Mart type stores hang from trees and bud into incredible pink flowers. Reluctantly, I leave. I need to buy more supplies and it's time to move on. I've done a lot of writing. I head towards a city by the name of Puebla, planning to stop there and perhaps buy a few pieces of pottery which I hear is painted using Arabic influences. On the way into town I pass a few shops and see incredible designs fly by in a blur. But the highway intersects outside of Puebla and towards the direction I'm heading. Suddenly, I'm outside of Puebla's city limits. It's afternoon and I'm tired. "I can't see everything..." I console myself, and happily continue. After ten kilometers, guilt creeps in and I decide to return to stay the night at a RV campsite listed in my guidebook. I return the ten kilometers, then another 15. Traffic is heavy. It's hot. I get lost. I get lost again. I feel I'm forever going up and down one road which never takes me where I want to go. I give myself one last chance to find the place. I finally arrive to discover the site is packed with a German group travelling in ten separate motorhomes. The campground is completely unappealing. There's over 6 dogs, some leashed, some unleashed. There's lots of barking, which Bruiser leads from his perch, his head craning out the window. It's a lot to put up with for one night. I leave. I take a shortcut back to where I began, which adds another 1 1/2 hours. I eventually arrived frazzled in farmland. Again, I find a huge tree to camp behind. Every step we take on our very late afternoon walk sends up billows of talc-like dust. The wind picks up just as I'm trying to cook an evening meal. I am not happy. In the morning I see from my taller vantage point, a weasel-like creature scurrying off towards some trees, laboriously making its way across the furrows and sisal plants. 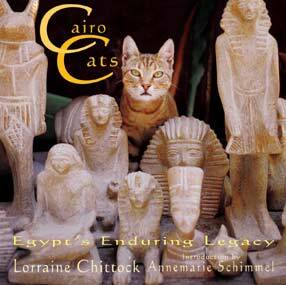 The dogs pick up its scent but it's already long-gone. In less than 30 minutes of driving, we go from sweltering heat, to San Francisco-like fog and cold. I stop the van by the side of the road and close all the windows and extract gloves I'd packed weeks before. The road takes us over Citlaltepetl, Mexico's tallest mountain and through tunnels and alongside precipitous vantage points. There is no view from this height, only fog and the knowledge it's a very long drop. Our descent brings us into humidity and out of the dry heat which has been my only experience in Mexico. The dogs pant. I spend hours doing seemingly endless errands and checking email. We drive towards the Gulf Coast, towards Coatzacoalcos. I do more errands. I find a place to camp along a dirt road which run alongside power lines. A man walks by and for the first time I'm able to ask the one line I've been practicing while driving; "Si puende accampo akia??" Can I camp here? He of course assumes I'll understand his response. I gather I can. It's hot at night, and oppressive. I sleep badly. I leave our site groggy, and discover I'd camped less than a mile away from the ocean, where wind would've made for a wonderful night's sleep. By now, the wind is blowing a gale and the sky is dark and foreboding making our walk along the beach gritty and exhausting. Days of driving come and go. Everytime I feel it will be a short day, it ends up long. The weather turns bad all over this region and buckets down with more rain than I've experienced in years. Once on the toll roads, it's difficult to get off and impossible to stop. So all the vehicles beside me crawl along, barely able to see in front of us. Driving through Villahermosa, I see a Wal-Mart and eager to find a propane canister for cooking, since an outdoor fire won't work in the rain, I drive up the road for several miles looking for a place to turn, and then head several miles back. The huge store seems to have everything, but Mexicans are not keen campers and though there's a few tents, there's little else in the way of camping supplies. It's now dark. And on the way out of town, I see yet another Super Wal-Mart. I don't stop. I've made it a rule not to drive at night, but this time I'm stuck. Mud flies up and hits the windscreen. It's drizzling with rain, but not enough to do more than smear the mud. For an hour I follow two small red lights in front of me. I'm desperate to leave the road, but unable to see any turnings. I'm aiming for Palenque, but fear I'll arrive dead if I continue. When the surrounding traffic thins out, I drive at a snails pace until I see a small lane on the left. I turn. It's a gravel road and after passing a small village with a few houses, all I see is barbed wire fences on either side. A man wearing a cowboy hat gallops towards us on his horse. I'm in cattle ranching territory. The lane is narrow but after a few miles, it widens. I stop. For the first time during my travels, I don't hear the sound of traffic at night time. It's peaceful and wet. And hot. An hour after going to bed, I hear the sound of another horse galloping by. I wake to incredible beauty. And rain. I'm in the wettest part of Mexico and it rains almost non-stop for the next four days. My skin, dry from being so much of the past two years in the desert, drinks up the moisture. A Mexican man rides by on his bicycle and stops to chat. Though he worked in Alabama for a short while, he speaks almost no English and he assumes from my one word replies that I know more than I do. Nevertheless, it's a very pleasant exchange. When I drive through the village, everyone turns to look and I know he's already told his friends where I'm from and where I'm going. I don't mind. Their village was a welcome place to camp. I few hours later I arrive at the Mayabel hotel in Palenque. There's more people than I'm used to, and I want to go somewhere quieter. But I'm tired. I stay. I'm camped amongst big motorhomes from Canada, and more Germans. In the tier above me on the way to the jungle, are palapas, thatched shelters where 20 and 30-somethings sling hammocks and sleep. The smell of marijuana wafts through the air, and there's a huge trade in magic mushrooms which you can buy across the street for next to nothing. I feel I've stepped back twenty years into my own crazy 20's, or directly into the 1960's. Though the costumes are slightly different, with dreadlocks replacing afro's, there's a preponderance of Indian cloth and ethnic weaves. I don't belong to either group. Not the RVers, nor the dreadlocks set. This is a theme I realize will probably stay with me. I've only met one other couple who are working while travelling, and I've met very, very few people in their forties. Most others my age are either raising families, or making their mark with their careers, or both. What am I doing? Finishing my forth book in beautiful places, while earning a living from past projects. 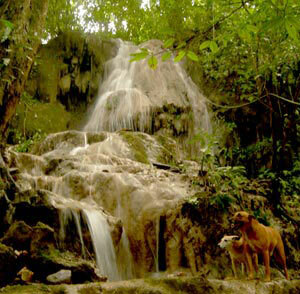 I stay three days in Palenque, and it rains almost the entire time. 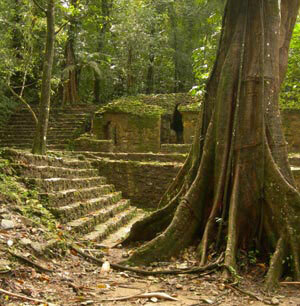 On the last day, there is sun and I go to the Mayan ruins. The steps of the well-trod stones are still slick with wet, and the crowds are more than I would like. I wish I'd come while it rained, though the crowds thin the further I get from the entrance. It is a magical place. 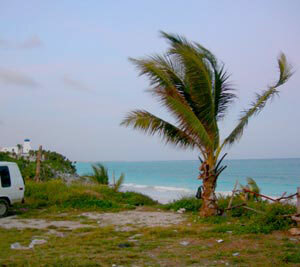 It takes me two days to get to Tulum, and though I'd heard there weren't many people, there's too many for me. 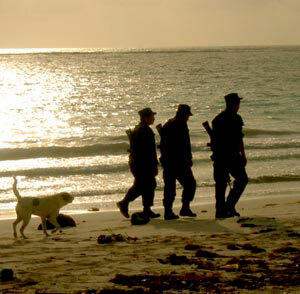 I walk the beach with the dogs and within minutes, some police tell me dogs aren't allowed. I'd just passed a local man walking his dog and I realize this is a tourist town. I head back to the van, while the police yell that I have two minutes or else they'll confiscate the dogs. This is not a place for me. But I meet a Polish couple who live in Canada who are dog lovers. 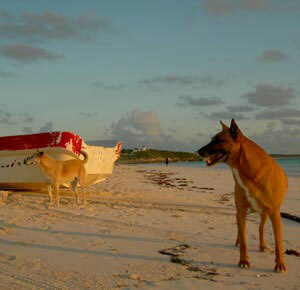 They're debating whether to adopt one of the many beach dogs who scavenge. In previous years, they knew and fed the dogs mother. But the mother is not here, and they fear the police took and killed her. The Polish couple have a tent at the far end of the beach below a hotel called El Mirador. It is above them on a cliff that I camp, and while on the beach keep a careful look our for the patrol car. Bruiser, always intent on being the head dog, shows his dominance to their dog. The smaller dog yelps and lays on his back in submission. There are no scratches and no blood. It's all show. Nevertheless, the Polish woman is nervous. "He's so bossy, I'm scared he will hurt my little one." "No, nothing will happen. And tomorrow, they'll all be playing together." Indeed Dog, who's the alpha and lead, has been frolicking happily with the dog in-between Bruiser's displays of dominance. The situation gets more complicated when a male appears, who's mating a female. The dynamics are fascinating to watch. The male, whenever Bruiser is nearby, and despite the fact Bruiser is neutered, licks the females opening as if to say, "She is mine." The father of the young dog is also on the beach and it is either the father, or the male who gets into a tangle with Bruiser and cuts his ear. It's minor. It's Bruiser's life, and like a mother with children, I realize it's not my business. It's for them to work out. For two years Dog and Bruiser have had to abide by America's dog rules, not the dog species dog rules. 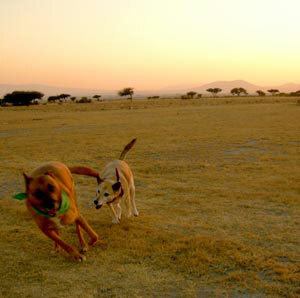 Though these are Mexican dogs, and not African, they speak the same language. And it's a language I don't speak. Now, it's their turn to make the rules. All three dogs are romping along the beach as happy as anything. Nature is wise. In the end, the Polish couple decide not to bring the pup back to Canada with them. Initially, it had seemed like a good chance for the dog. It would get consistent love and food. But in the cold climate, it would be confined much of the time and isolated from those of his kind. Here, though he certainly won't live as long, he'll live free and as part of a pack. If tourists continue coming, he'll continue being fed. The summer, when it's too hot for tourists, will be a lean time. Being friendly, and a non-producing male, hopefully he'll be spared from extermination by the police. There are no easy answers. I drive to a place I've heard has free camping. It is indeed incredible, reminding me of my favorite beach in Kenya. I spend the morning writing for the first time in what seems ages. I'm in bliss. 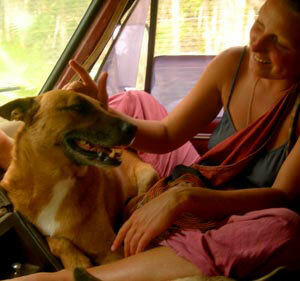 Just after mid-day, Verena, a German girl I'd met at El Mirador arrives. She's come to set up camp. I welcome the company. Within a few hours I help her set-up a tent given to her and the entire surroundings look like something from a Survivor episode. Her mission is to pick up all the garbage, of which there's a lot. Within a short time, the garbage in our area is all in plastic bags and she embarks on the surrounding areas. Though not as gung-ho as she, in the next few days we collect between us 5 huge Hefty bags. It's Saturday and the place fills with weekend holiday-makers. In the late afternoon Verena and I head to town to do errands and internet. I make a stop at El Mirador so the dogs can frolic with their dog friends. The episode reminds me very much of Kenya, or the politics of any developing country. How did the police know bandito's would be making the rounds? And if they did know, why didn't they return to arrest them? I get ready for a great day of writing. It's Sunday, and everyone will be in church. But by noon, the sandy parking lot fills to capacity. I curse. It's too noisy and I can't get any writing done. A few boys start to play soccer next to the van. Bruiser, sensing my tension barks at them. I ask them, "Por favor, if you can move a little further away?" Meanwhile, Verena lays in her hammock between two palms with one Mexican family on one side of her, and another Mexican family on the other side. "Oh," she says smiling, "when the Mexicans get together, they laugh so much and they focus so much on the food. It is sooooo wonderful! There's so many children, so happy and playing!" She and I have different needs. I feel like a kermudgen. On Tuesday, I wake to overcast skies. 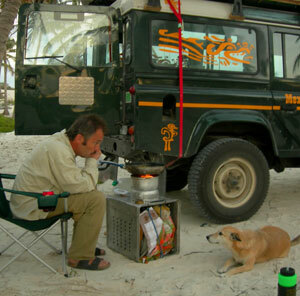 Myself and Peter, a German man who's been travelling in a Land Rover for the past six months, are optomistic. "Hopefully no one will come here today." I make a big fire in readiness for a dinner I want to cook deep in coals, and it's not until 10:30am that the first tourists arrive. They stay only five minutes to take pictures. They're followed by a group of ten bicyclists, who also don't stay. All they see when they drive in are two vehicles, and an empty, garbage-strewn beach. It's not enough for most. Meanwhile, Peter and I stand near the entrance and inadvertently stare as group after group arrives, then departs. It begins to rain, just the barest of trickles, but enough to deter any other visitors. "Oh, no, not rain!" exclaims Verena. "Oh, rain, wonderful!" I exclaim. I am able to write. Life is good. During the late afternoon and evening, two motorhomes from America, one with a Canadian emblem, arrive, as well as a Australian and Mexican couple in a red VW camper. The Americans have three tiny Maltese dogs and a Retriever. 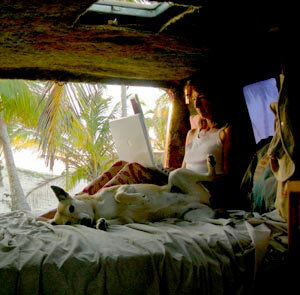 The VW camper has a Mexican dog they found. My dogs aren't happy about sharing what during the day, has been their entire campsite. Neither am I. Despite intense sunshine, there's no one on the beach all morning and I take the opportunity to swim and walk without the dogs, while they're secure in the van in the shade of coconut palms. When I return, Peter has left and the VW camper is also leaving. I hear from Verana that while I was gone, an official we've already met had come by and told everyone that this is private property (the land is owned by the son of Mexico's last president) and the motorhomes have to leave. Verena is allowed to stay because she's in a tent, and I, hidden away behind trees can also stay. The American's had a huge fire the night they arrived and are anything but inconspicous. We're sure it's helped that we made it known from the beginning that we were collecting garbage. But the rules are nebulous at best. We've paid for some of our time here, but not all, but many others are just waved through. One thing is certain. Nothing is permanent and it's only a matter of time before I too need to leave. When I do, I'll head to Belize. In the late afternoon, Peter and I drive to a restaurant five kilometers away which has a staircase spiraling around a huge now-dead trunk of a tree. Dog gamely follows me up, but Bruiser, after a few failed attempts, stays at the bottom. The three-story view is incredible, and once again I'm reminded of Watamu, Kenya, with beach on one side, and a lagoon on the other. The only difference is wildlife. Here, there is almost none. Years before, this used to be only coconut plantations and it is my guess, that in order for that to happen, the indigenous jungle and it's wildlife was destroyed. In this climate, there should be birdsong every moment of the day, instead, there's hardly any. There's no lizards, no snakes, no ground animals, and no monkeys. And though I'm glad the dogs haven't upset any wildlife, it's only because there is none. The place is dead. Hopefully, one day it will return. But it is this absence of life, which will cause me to leave.